Meet the first cupuacu beauty range to hit Irish shores – cupuacu (pronounced koo-poo-ah-soo!) is a hot new Brazilian skincare ingredient that makes moisturisers much more powerful and has many therapeutic benefits for your skin – it’s referred to as ‘the pharmacy in a fruit’ by Brazilians because of its numerous health benefits and is also listed as the Brazilian national fruit. Cupuaçu is a fruit with a creamy white pulp that grows in the Amazon Rainforest. 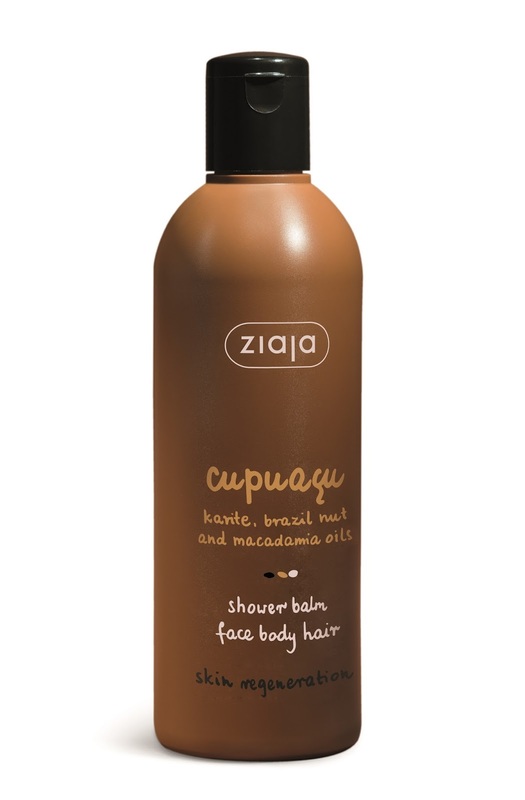 Similar to cocoa butter, but with double the potency - cupuaçu has antioxidant and emollient properties that soften, hydrate, and improve skin elasticity. Cupuacu and is prized by Brazilians for its ability to regenerate the skin and restore a youthful radiance. Cupuacu is rich in phytosterols which benefit dry damaged skin, polyphenols which combat free radicals and fatty acids that protect and moisturise. Cupuaçu is also rich in powerful antioxidants such as quercetin and kaempferol that help maintain the skin’s elasticity and help improve the appearance of scars. As a skin hydrator, it can attract and hold more than twice the amount of moisture in the skin. 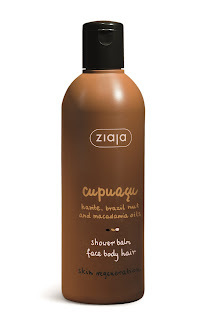 Ziaja’s new line of cupuacu based products are enriched with shea butter and macadamia oil to transform from drab to fab skin instantly, they are intensely moisturising but absorbed easily into the skin leaving a lustrous silky after feel. An ultra-hydrating tanning lotion formulated with a moisture-rich mix of cupuacu and shea butter that work alongside brazil nut and macadamia oils to provide a hydrated smooth canvas primed for a subtle, delicate golden tan that gives a healthy radiant look to the skin. 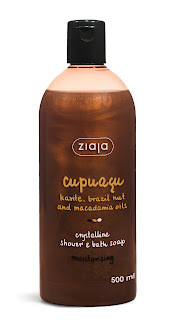 ingredients: DHA (dihydroxyacetone), cupuaçu butter, shea butter, macadamia oil and Brazil nut oil. 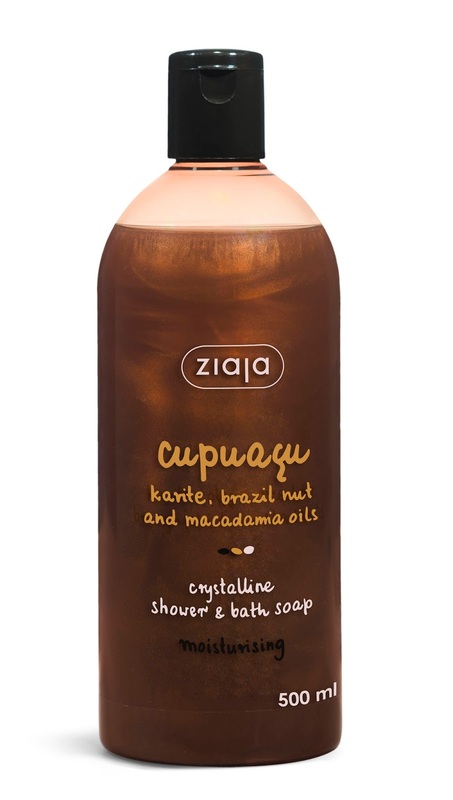 This Brazilian bathing treat is packed with emollient cupucua, shea butter and macadamia oil – a replenishing gel formula that nourishes and softens while the sweet cupuacu fragrance provides a pleasant aroma. Gently cleanses and moisturises the skin, reduces roughness and dryness, leaving a protective velvety film. ingredients cupuaçu butter, Shea butter, macadamia oil and Brazil nut oil. Tighten, tone and reveal. This sugar based cupuacu scrub is a fabulous skin detoxifier and exfoliator. Crystalline sugar acts as a mild exfoliator, removing dead skin cells and exposing fresh soft skin - whilst walnut shell powder acts as a second exfoliator to polish and perfect. Enriched with moisture boosting cupuacu and macadamia oil which help boosts moisture retention, leaving skin soft and smooth. The formula leaves a protective film on the skin and provides a pleasant, warm smell that stimulates the senses. ingredients brazil nut, crystalline sugar, cupuacu, karate, macadamia oil and walnut shell powder. WHERE TO FIND IT: shop online @ www.originalbeauty.ie and from pharmacies nationwide. For additional stockist enquiries call 01 4440451. Ziaja is a family-owned company founded in 1989 by pharmacists Aleksandra and Zenon Ziaja. Today Ziaja is the market leading skincare brand in Poland and Ziaja products are trusted and liked by customers around the world. Ziaja has a staggering 1,000 products encompassing skincare, dermo cosmetics, body & haircare – a range of products for every stage of a woman’s life and her family too. Ziaja’s ethos is to develop fantastic, affordable daily care products while ensuring they are a source of pleasure and well-being. All Ziaja products are dermatologically tested, hypo-allergenic and contain innovative formulas that blend natural & organic active ingredients with scientific know how. Ziaja products are NOT tested on animals.